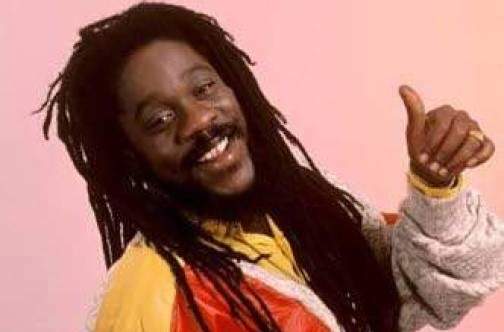 Although Dennis Brown died nearly two decades ago, his legacy lives on through those who knew and worked with him, including Brinsley Forde, the singer, guitarist and founding member of roots-reggae band Aswad. “Some of my favourite Dennis Brown songs obviously include The Promised Land, his collaborations with Derrick Harriott and anything Studio One. I love Dennis like cook food,” Forde, 65, told the Jamaica Observer’s weekly Splash. In 1985, Brown and Aswad combined to create a powerful tribute to Africa — The Promised Land. Forde said the group originally created the rhythm in 1982 as Dub Fire. It sparked Brown’s interest, which resulted in the recording of The Promised Land three years later. “The original beat was made in 1982 and Dennis heard it, he liked it and we decided that we wanted to do a collaboration. In 1985, we were at Island Records studio working on some stuff when Dennis walked in and he just did it,” Forde recalled. The song was driven by a remarkable horn intro played by Michael “Bammie” Rose on saxophone, Edward “Tan Tan” Thornton on trumpet and Vin “Trommie” Gordon on trombone. Brown recorded the song — which appeared on his Revolution album — fresh from a visit to Shashamane in Ethiopia, regarded by many as the spiritual home for Rastafarians. Over his 30-year career, Brown churned out nearly 80 albums for over 40 labels. His many hit songs include Some Like It Hot, Cassandra, Westbound Train, My Time, How Could I Leave, and Ghetto Girl. His 1972 single, Money in My Pocket, charted in the UK Top 10. “No one had a voice quite like Dennis, his tone was unique; and just the timing of when he would put out his stuff,” said Forde. Five years before his death in July 1999, Brown was nominated for a Grammy Award for the album Light My Fire. Forde was shocked at the singer’s death, having seen him shortly before. “He was in London and I saw him for the last time. I remember Gregory (Isaacs) was voicing in the studio when he died. I was so shocked because such a young and talented individual had passed,” he said. The London-born Forde said he left Aswad in 2008. In 2015 he received an MBE (Member of the British Empire) for his contribution to the arts, spanning more than 40 years. It was presented by Prince William. He has projects scheduled for release soon. “I have an album coming out called Urban Jungle. It features songs, which were done during a Tuff Gong recording session. Currently we are working on video editing, so we’re looking to release it in February,” Forde said.